It is an examination of power in Washington and the lust for power. I like to make my thrillers big-themed. But I’m not destroying the world or the most powerful man on Earth. So going after the top brass in the Nation’s Capital seems a natural. I love twists and turns and this one has more than my first novel. Readers will be hard-pressed to figure this out, yet all the clues are right in front of them. And I figured out how to speed up the pace without sacrificing the story. Journalists tend to be idealists, yet they are human too. My protagonist is not without faults or weaknesses, so they tend to diminish his self-righteous smugness. Lawrence Block (dialogue), Scott Turow (twists and turns), Lee Child (character), Steve Berry (pace), David Corbett (character), Dashiell Hammett (style). Scott Turow’s legal thriller, Presumed Innocent, is what got me interested in writing fiction. Incredible novel. Career journalist Rick Pullen was an investigative reporter before becoming a magazine editor and publisher. His journalism career includes two magazine startups and more than 70 awards for writing and design. He is a member of the FOLIO 100–the 100 most influential people in magazine publishing–and runner up for editor of the year. 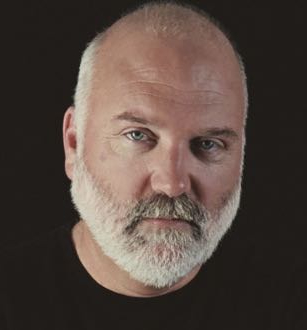 Although disgruntled subjects of his investigations often accused him of writing fiction, Rick never attempted it until 2011 when he began writing his first political thriller, Naked Ambition. Published in 2016, Naked Ambition became an instant Amazon bestseller. He followed that up with a serial, The Apprentice, in 2017. 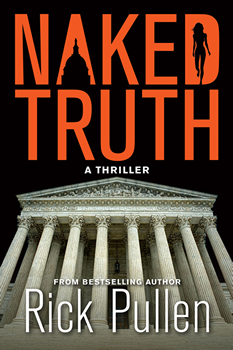 Naked Truth is the sequel to Naked Ambition.